For autumn/winter 2016, UK sportswear brand Reebok Classic has released its retro-style Vector collection. 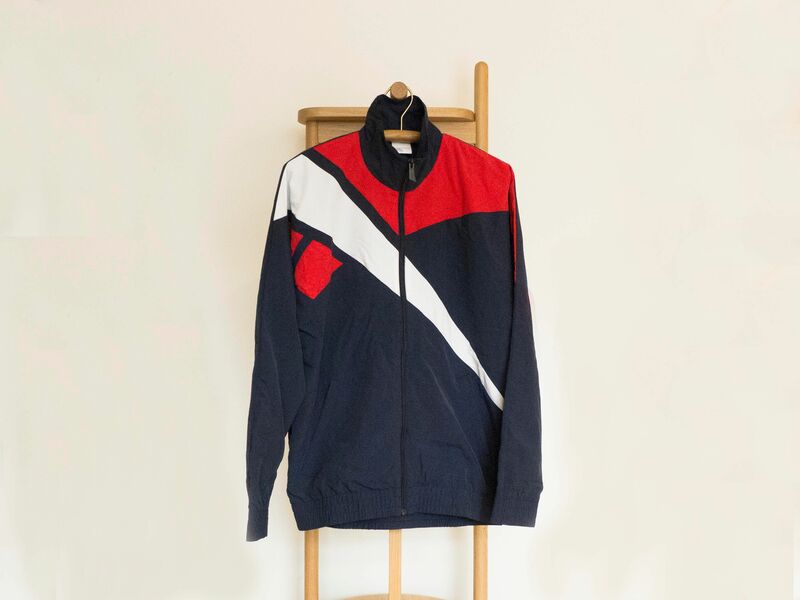 It features tops, T-shirts, sweaters and tracksuit bottoms, all branded with the original vector logo – replaced by a delta sign in 2013 – and in the brand’s signature red, white and blue colours. In the 1990s, Reebok’s Vector was first seen on professional football kits but quickly became adopted by ravers. The brand’s logo and its oversized style made Reebok Classic garments a popular choice. Reebok’s story began in 1890 in an industrial town in Greater Manchester called Tottington. Joseph William Foster, a producer of running shoes, created a novelty spiked running shoe. Motivated by his shoe cretions, Foster founded his own shoe company with his sons in 1895. His company J.W. Foster and Sons’ shoes were worn by British runners in the 1924 Summer Olympics, Paris. In 1958, Foster’s grandsons Joe and Jeff renamed the company Reebok, Afrikaans for a species of antelope. After securing a licence deal in the US 20 years later, Reebok began releasing its most famous trainers, such as 1982’s Freestyle or 1989’s Reebok Pump. In 2016, over 121 years since it was founded, it was rated as the sixth most valuable sports brand by Forbes.